From Richard Strauss to psychedelic rock is just a short path. In 1948 Strauss composed his Four Last Songs (Vier letzte Lieder), three of which set poems by his close friend Hermann Hesse. 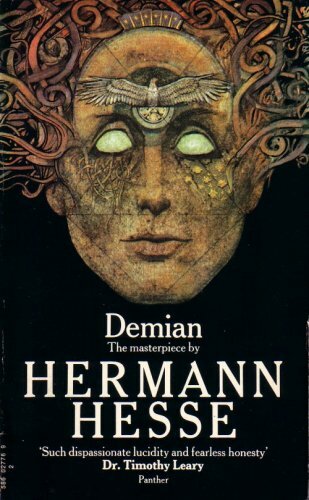 In 1919 Hesse had written his novel Demian; this has the duality of good and evil as its theme and uses the Gnostic deity of Abraxas as a symbol of that duality. Below is my 1969 edition (cover price 30 pence!) complete with endorsement from Dr. Timothy Leary. 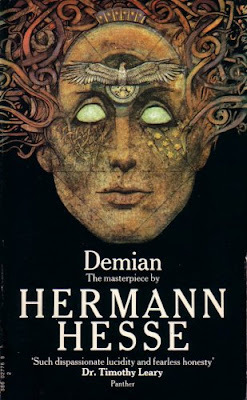 The influence of Demian and Hermann Hesse on contemporary culture was considerable. Canadian-American hard-rock group Steppenwolf, famous for Born To Be Wild in Easy Rider, took its name from another Hermann Hesse novel and Santana's second album Abraxas has a quote from Demian on its sleeve. 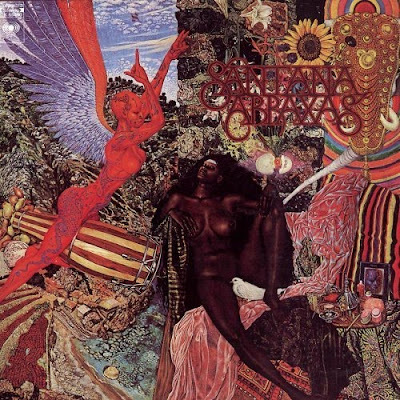 And, swinging the balance from good to evil, Charles Manson referred to himself as "Abraxas", both god and the devil, in a 1986 letter to his parole board. American jam band Phish frequently covers Also sprach Zarathustra. Strauss' original tone poem was inspired by Friedrich Nietzsche's dualist philosophic treatise of the same name. Strauss was a friend of Edward Elgar whose flirtation with dualist doctrines was explored here recently. And strange but true: in 2000 hard rock band Accept cut a cover version of Elgar's Pomp and Circumstance March No. 1. Yes, Sir Edward was more than a closet mystic. 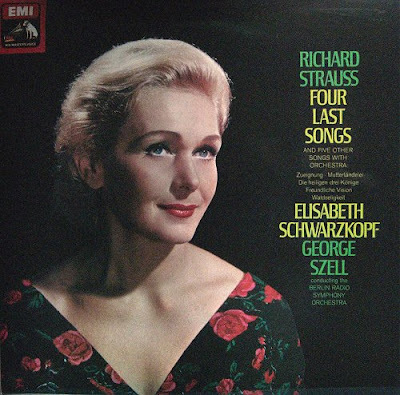 * My header image shows the original 1966 LP release of Elisabeth Schwarzkopf singing Strauss' Four Last Songs with the Berlin Radio Symphony Orchestra conducted by George Szell. The relative merits of this recording versus Gundula Janowitz with Karajan and the Berlin Philharmonic can be debated, but any CD collection should really have both. Fascinating post, pli! Reminded me that Ronald Searle chose one of these songs on desert island discs and said: "Once you are a prisoner, you never escape being a prisoner." (which is kind of gnostic in way ..okay, okay, stretching it!). Personally, I always liked Knulp the best.